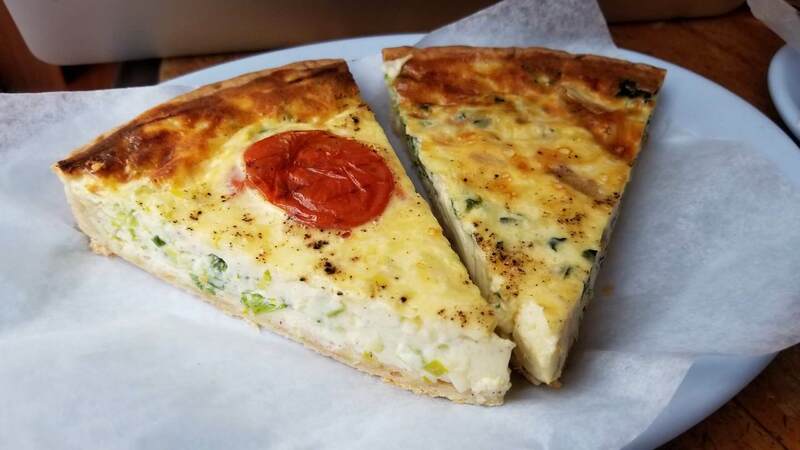 Bon Appétit Montréal - Eat See RV! 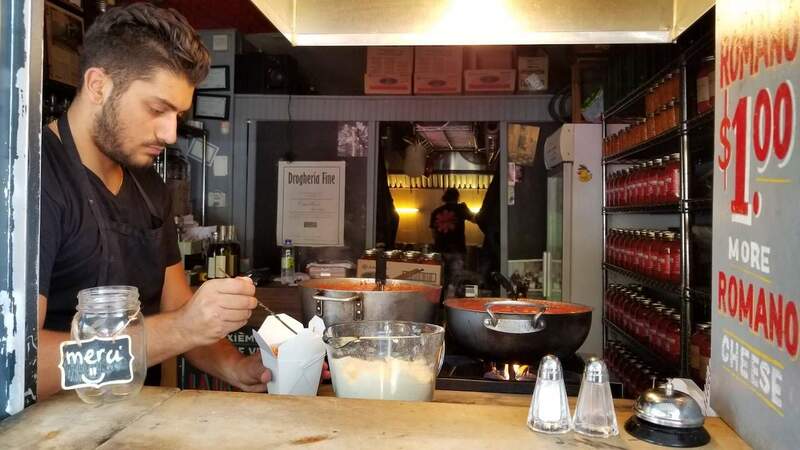 Montreal had a wonderful food and drink scene. 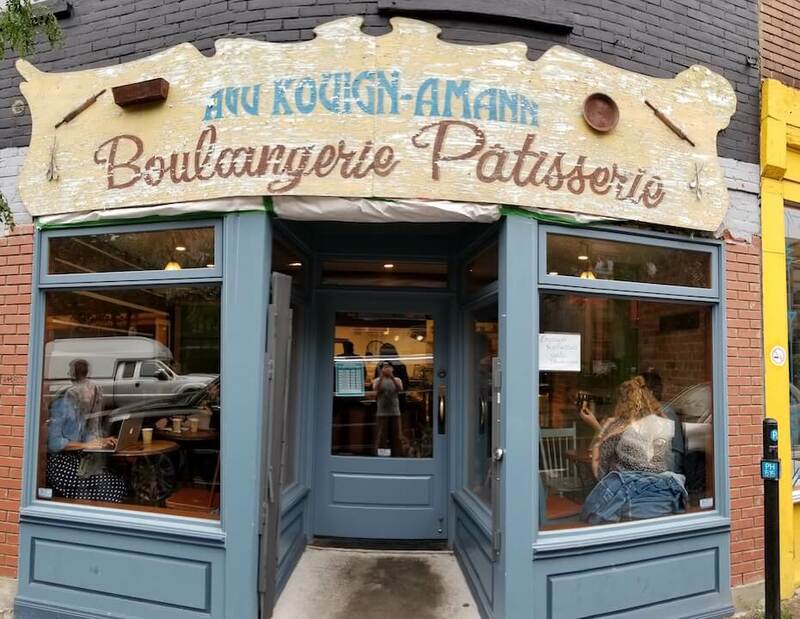 They’re undercover speakeasies, attractive roof top bars, rising microbreweries, incredible french bakeries, and quality restaurants make this a super inviting and fun place to visit. We loved touring around town, visiting each distinct neighborhood trying their drinks and food. Balance is a big part of our travels for dining out and drinking. 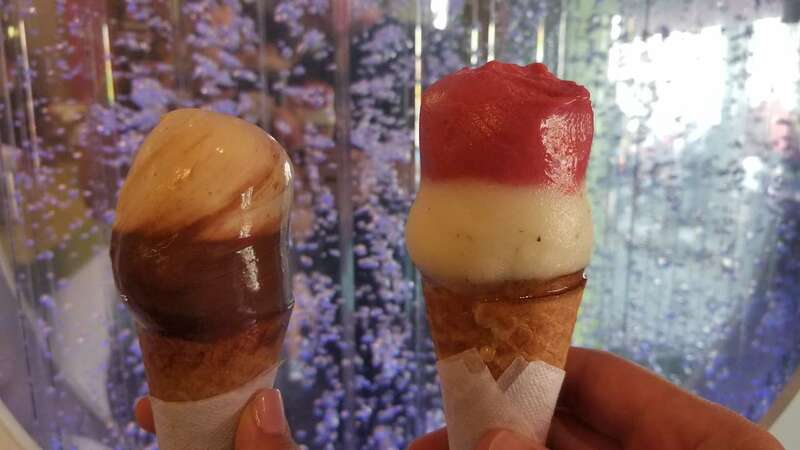 We want to watch our wallet and our weight, so we didn’t get to try half the stuff we wanted to, but we were pleased with the experiences we were able to have (and try). Cash is king, and most places were cash only so if you are adorning around town, I highly suggest having both cash and card. Being in Canada, our wifi access (other than our phone) was unavailable. Liz had to do some work on the computer so we took our laptop to a highly recommended bakery, Au Kouign-Amann to enjoy a café au lait, quiche, and boulangerie patisserie or “butter cake”. 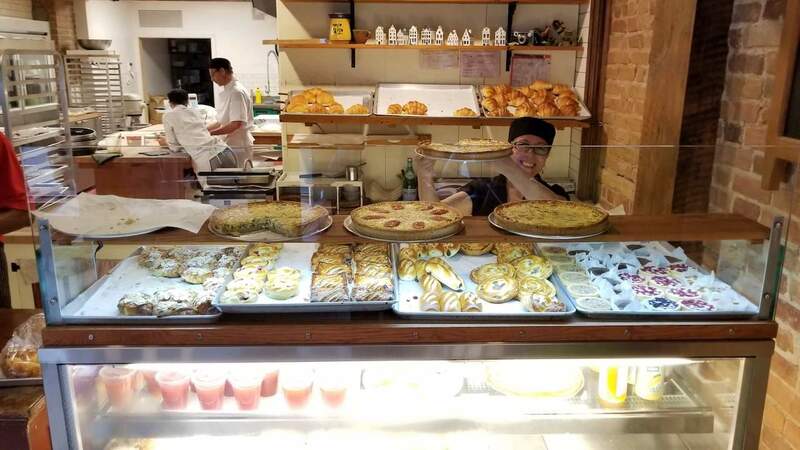 They were cash only and we loved their pastries, croissants, and “butter cake” so much Dennis found an ATM to withdraw more cash and get more goods! 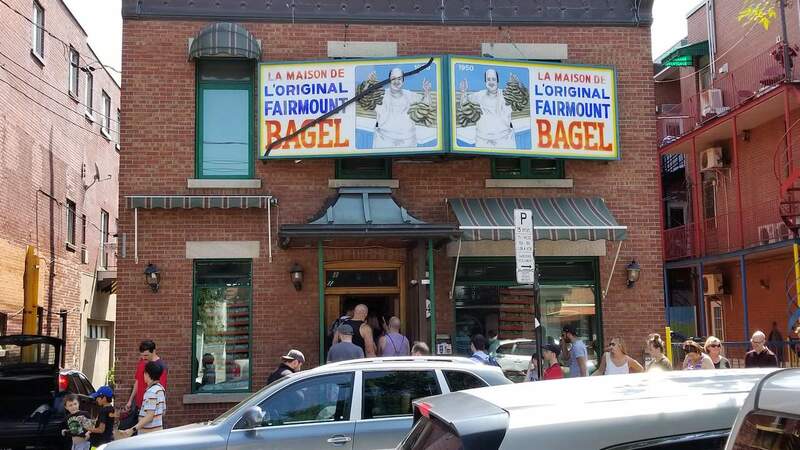 If you only visit on place when you’re in Montreal, this is it! Old Montreal is an absolute must when visiting Quebec. It’s exactly what you imagine when you hear about historic French Canada. There are a ton of restaurants with beautiful lush patios to stop and enjoy a snack, meal, or glass of wine. Most of the restaurants get an A+ for ambiance but serve mediocre at best quality food. 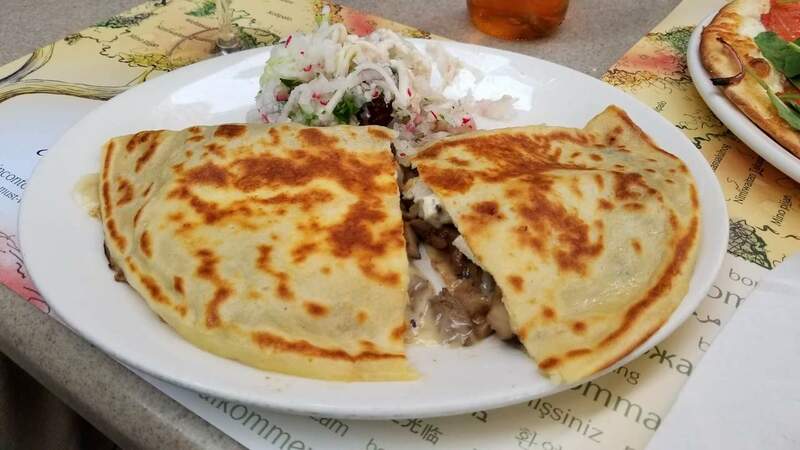 We weren’t willing to pay tourist prices for crappy food, so we ultimately decided on a well reviewed restaurant Jardin Nelson, in old town our first night. It was perfect! Live jazz music, lights strung throughout their indoor patio, and their food was great! 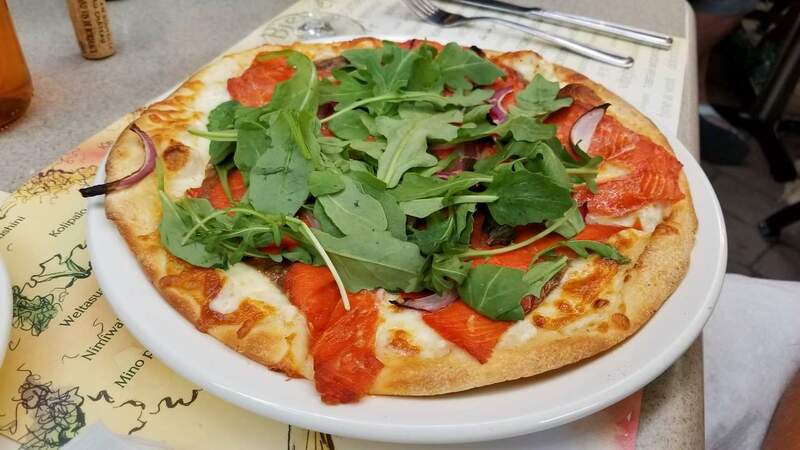 We enjoyed a cheese platter of french cheeses, a bottle of french wine, and a salmon pizza with capers and arugula, and a crepe with gruyere cheese and mushrooms. It was a great meal and it really made us realize holy crap – this is a pretty amazing life we have! 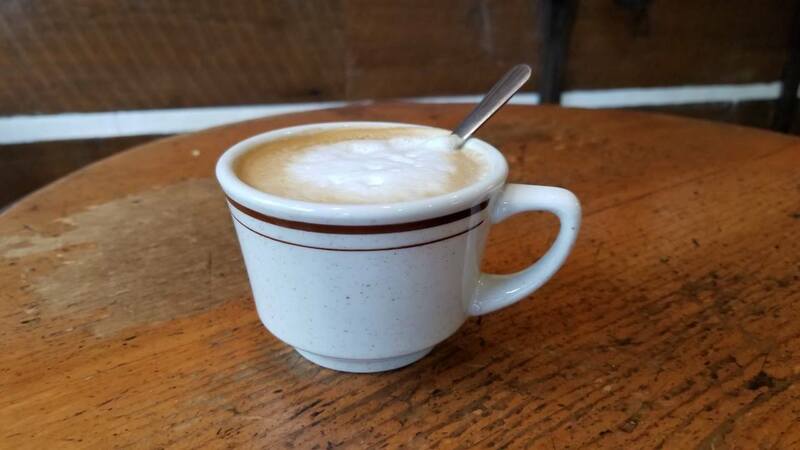 Our food exploration continued into “Little Italy” and “Mile End”. We were blown away by both of these areas. 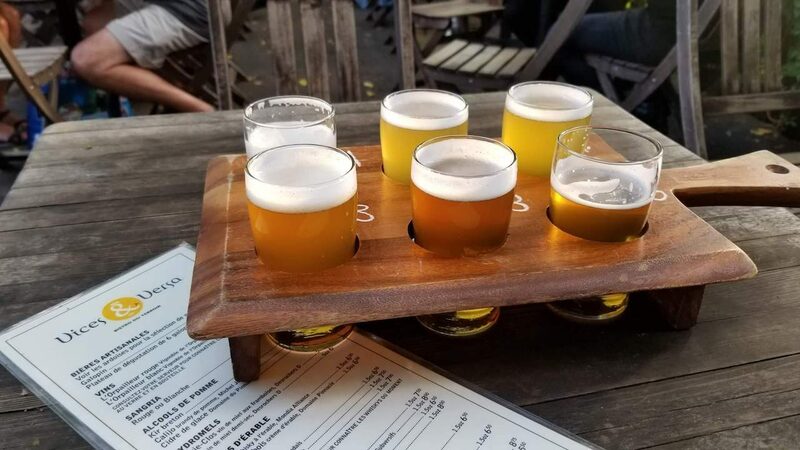 They had the largest selection of breweries, fun and affordable restaurants, and exciting bars. It felt like a neighborhood you’d want to live in. Beautiful buildings, walkable, and great places to try around every corner. 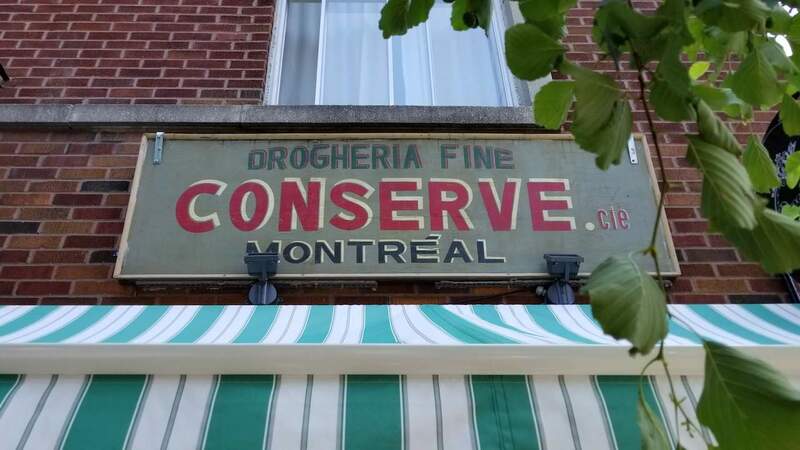 We did a walk down Fairmount Avenue in Mile End and had a freshly baked sesame bagel at Fairmount Bagels (there will be a line for sure and it’s cash only – surprise surprise), then walked next-door to enjoy some piping hot and mouthwatering gnocchi in red sauce, at Drogheria Fine. 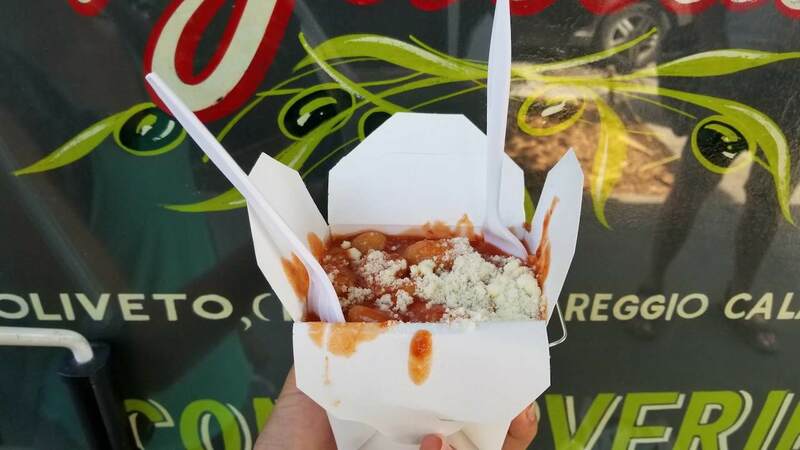 Gnocchi is the only thing on their menu and it will run you $5 (cash only), served to go. It’s worth every dollar. I cannot tell you how much joy those little bundles of potato brought me! 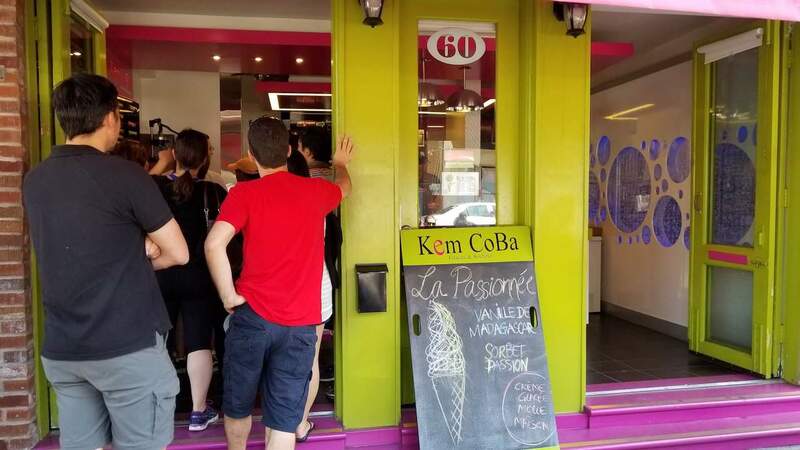 We finished off our self guided food tour, at Kem Coba a popular ice cream joint that has funky flavors of gelato, sorbet, and ice cream to keep you cool on those warm Canadian summer days. It was awesome. If you are in little Italy and are interested in quality food at a decent price, I suggest Pizzeria Napoletana. 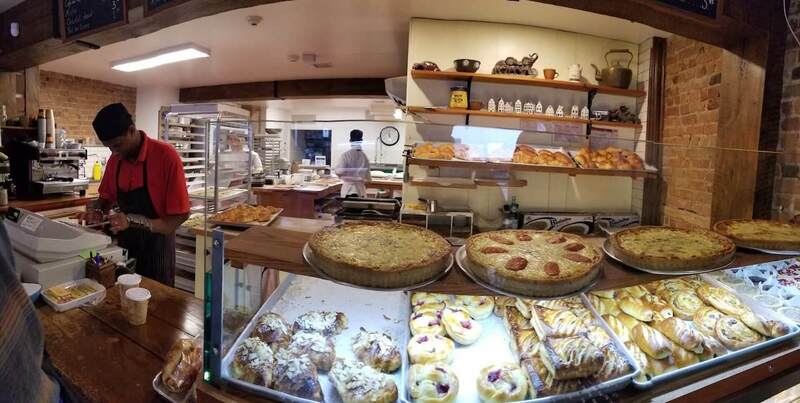 We didn’t make it here, but it was recommended to us by several locals and we found lots of great reviews online. You can bring your own wine as you enjoy a bowl of fresh pasta or slice of cheesy pizza! 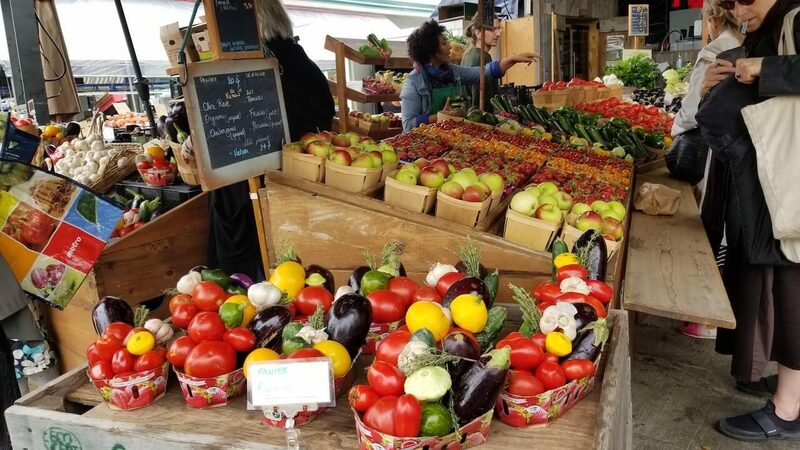 We wrote about visiting the market in our “see” post of Montreal, (read it here). I just couldn’t get enough of the fresh fruits and vegetables and variety of quality produce. 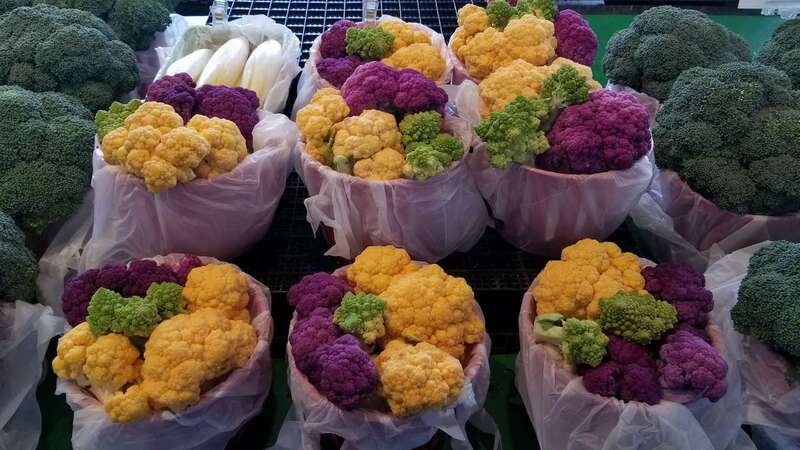 Look at the colors on that cauliflower! I wanted to buy way more than I could ever cook. 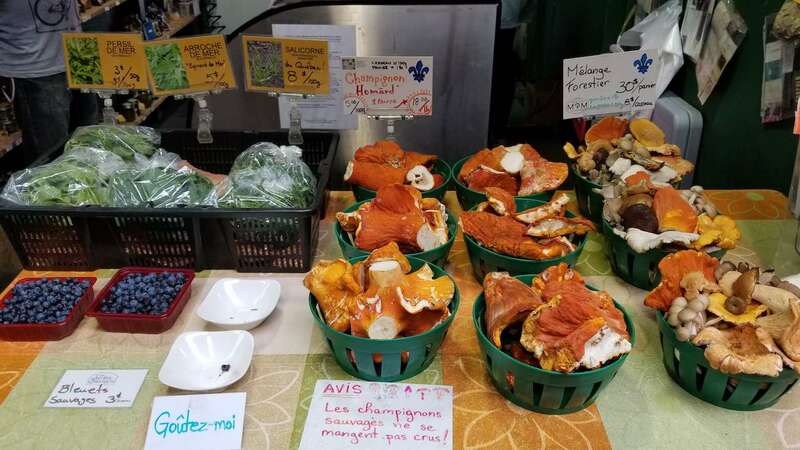 Luckily Dennis kept me in check, but if you’re there and have the ability to cook your own food, go to Jean Talon Market. It’s worth it! 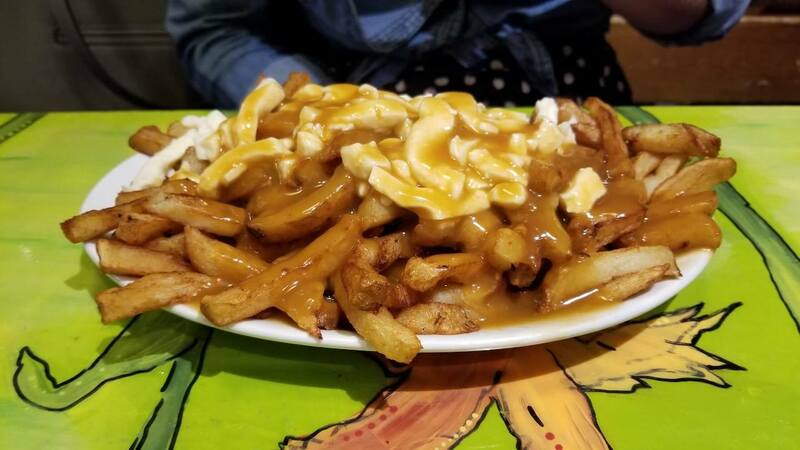 Our poutine adventure continued. We can officially say we’ve gave it our best, and poutine is just not for us. 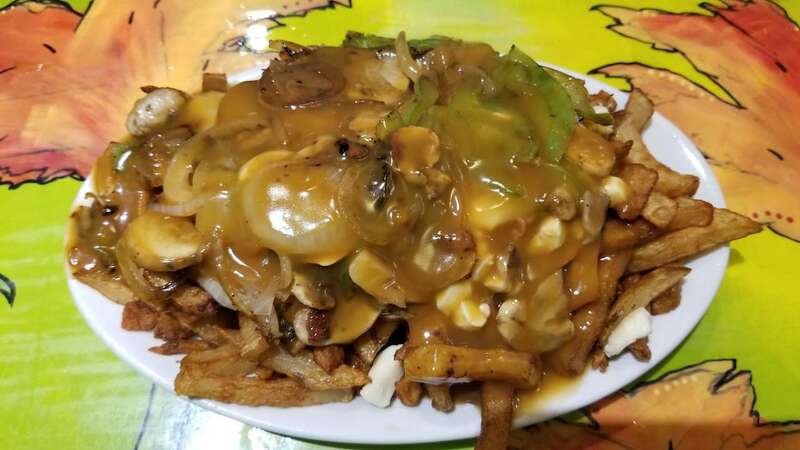 We see how people can love it, and we would never say no to poutine, it just wouldn’t be something we seek out in our travels. 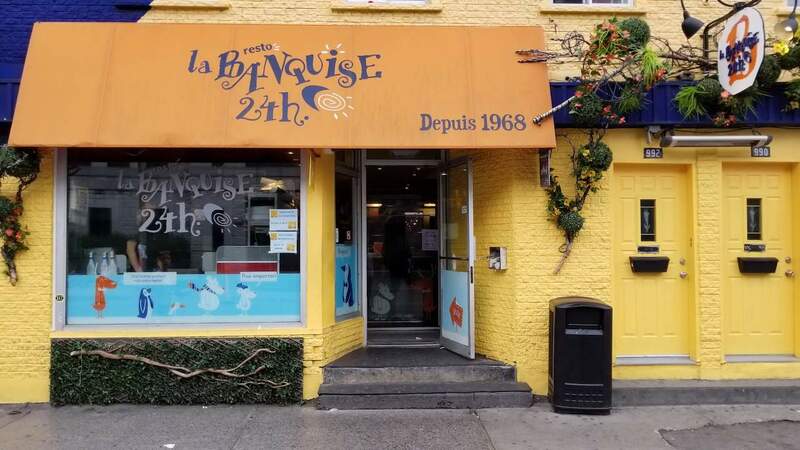 We tried a highly recommended poutine restaurant, La Banquise 24th. They offered traditional and crazy varietal poutines in addition to burgers and hot dogs. 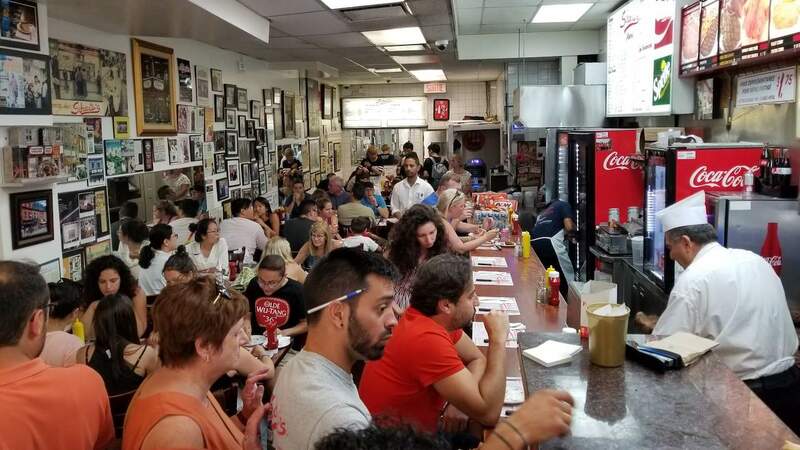 It was packed, don’t be surprised if you wait in line to get some of their fried, creamy, goodness. 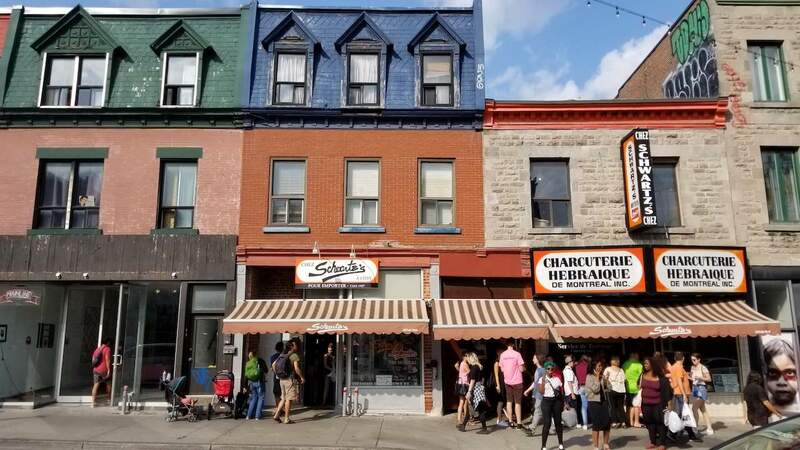 If you ask most Montrealeans, if there is one thing you must eat when you visit, it’s the famous Montreal Smoked Meat Sandwich. 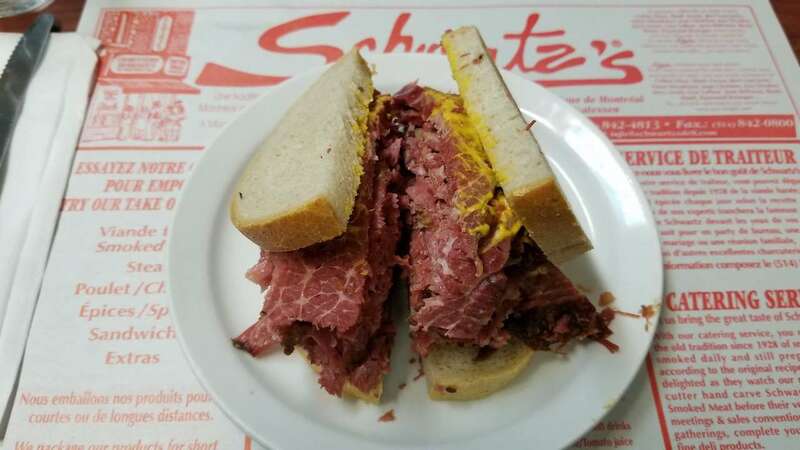 You can get this delicious, meaty, smokey sandwich from several places but the best are Schwartz, where we stopped, or Outremont. Like a jewish deli, they have sandwiches, fries (their poutine was our favorite out of all of Canada), and pickles. You can get a platter of smoked meat, or sandwich. There are a few other menu items, but this place is definitely for meat lovers. Dennis enjoyed his sandwich, and opted for the “medium fat ration” (other choices are fatty or lean) but in the end, liked the Pealmeal Bacon sandwich in Toronto more. 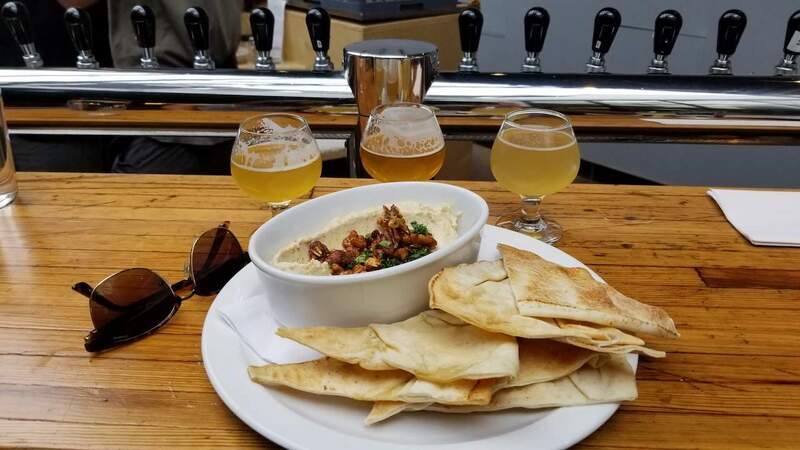 To round out our stay in Montreal, we went to a few breweries that we throughly enjoyed. 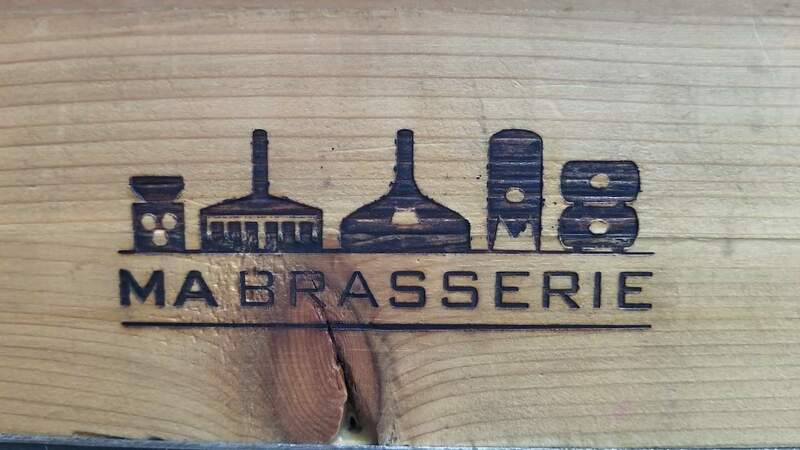 Mabrasserie, a newer brewery that was making super adventurous, creative, brews. There were over 36 taps, all of which where their own creations! Seriously, everything we tried (we did a bunch of 2 oz pours), were killer! They even had a hopped tea for a non-alcoholic choice. We then headed to Vices & Versa, which also brewed their own beers, but had a selection of local beers on tap as well. We sat on their beautiful backyard patio under the trees and hanging lights, and enjoyed some pretty darn good french fries with a fresh brew in hand! 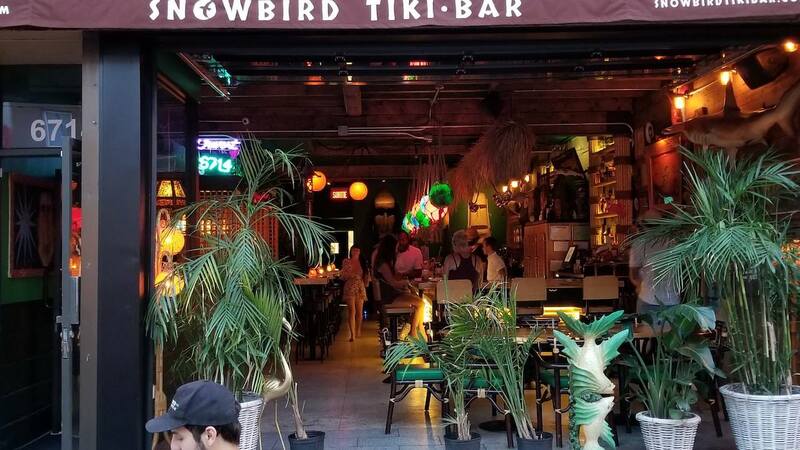 We ventured to a new tiki bar, Snowbird, in the Little Italy neighborhood. The ambiance was on point. Perfectly funky, beachy, and cozy. 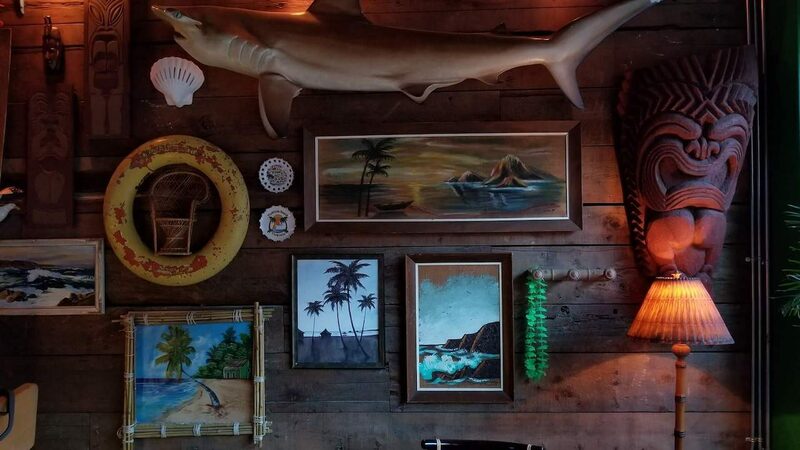 Exactly what you’d want in a tiki bar. The drinks however, were pretty terrible. Both Dennis and I had to try to get them down…because of that, we would suggest skipping a stop at this place. It wouldn’t hurt to stick your head in though! In addition to our brewery tours, we went to a roof top bar (just stopped in, as the wait was over an hour to get up there to get a drink), and two speakeasies. Our first speak easy, Cold Room was in Old Montreal, hidden behind a cold metal door next to a tourist shop on a cobblestone street. You’d miss it if you didn’t know it was there, and that’s the point. Find the “doorbell” hidden behind the entrance door to the trinket shop next-door, and someone will greet you as you walk downstairs and into a hidden oasis. The bar is warm, inviting, and adorned with historic novelties. Their drinks were delicious! I highly suggest seeking this place out. The next speakeasy find, was Le 4e mur. A prohibition style bar, with a detective theme. 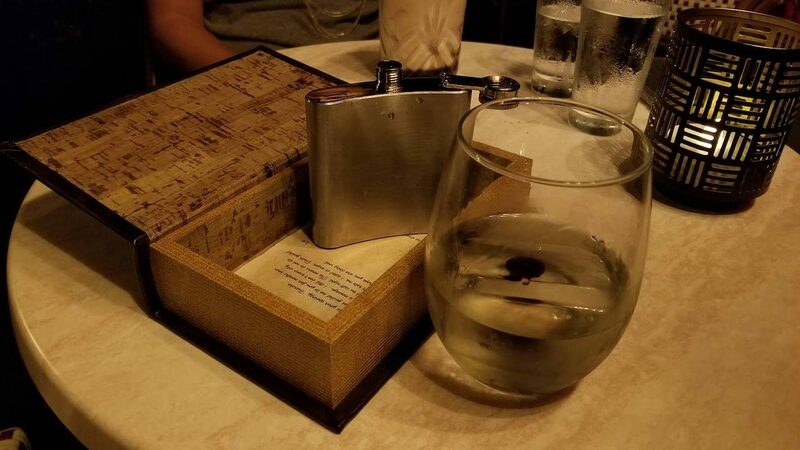 Your job is to not only enjoy creative cocktails, french music, and the burlesque show from on of the cozy inlet seating areas, but find the clues throughout the menu and bar to discover who killed whom. The detective idea was fun, but the burlesque show won us over! Liz could have stayed here forever. I love 20’s french music!